Before the bob hair cut became popular in the 1920s, women were confined to having long hairstyles that were swept up with combs or often worn with hairnets to keep their curls. The 1920s changed all this when the constraints of the Victorian styles were abandoned. 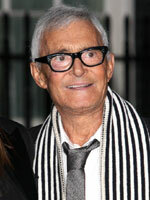 During 60's British hairdresser Vidal Sassoon revolutionized the haircut by introducing modern geometric designs. With the war, women were finally able to wear their hair short, thanks to the actions of Irene Castle, silent-screen actress, who started this popular haircut in 1917 to help with the war efforts. It was the promoted style to change the outlook of women that in the time of war, they did not have the time to spend on their hair and the style would help keep their hair from being tangled in factory machines. This style became the most demanded style in this time. 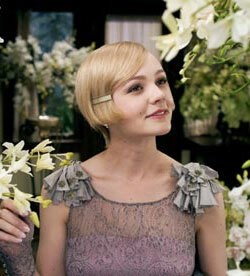 By the 1940s, however, long hair was back, with emphasize on the soft, wavy looks of the shoulder length style. Women were back in the work force and they needed more manageable styles. Long hair did not fit the style of the working woman. 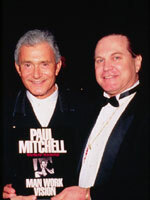 It wasnt until the 1960s that the most influential hairstylist to date, Vidal Sassoon, helped to make the bob style more popular than ever by introducing modern geometrical haircuts at his London salon and changed the course of 20th-Century hair design. "My idea was to cut shape into the hair, to use it like fabric and take away everything that was superfluous," Sassoon said in 1993 in an interview with the Los Angeles Times. 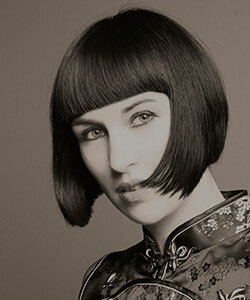 Sassoon and his creative director, Maurice Tidy spent time developing variations to the cut and before long, most women wanted their haircut in the bob shape. This trend continued along into the 1970s with the Dorothy Hamill cut that everyone seemed to copy. 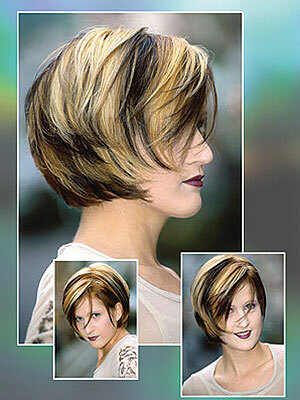 Even today, with the hairstyles varied, this style continues to be popular. Some women still wear the traditional bob cut, while others choose the more popular style, with more angled sides, shorter bangs, or having the bangs longer than the back. These styles are very demanded due to their easy care for today's working woman. The bob style is here to stay. 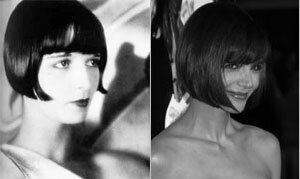 One of the hottest trends for women during 2008 with shorter hair was variation of sleek, sharp and edgy bob haircuts with blunt and symmetric bangs Today most of these styles are inspired by Mary Louise Brooks (1920's actress from silent movie), but it doesn't mean that you have to get the same cut.